Choosing a Jobsite generator can be quite a challenge because the demands placed upon it will be quite harsh and sometimes extreme depending on the type of industry you’re in. In this article we delve deep and review three excellent industrial jobsite generators that we feel are worth the cost. 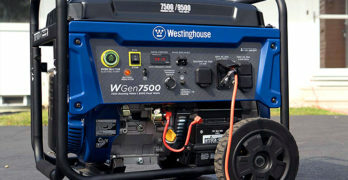 The generators are : Westinghouse WPro8500, Cat RP7500E, Generac 5734 GP15000E and the Honda EU7000is.